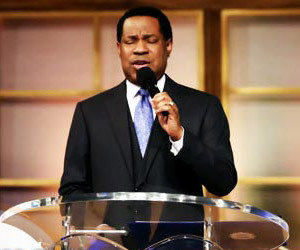 Pastor Chris praying at the July Global Communion Service. 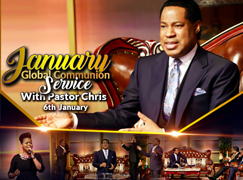 The July Global Communion Service with Pastor Chris held on the first day of July 2018, beginning the second half of the Year of the Supernatural. 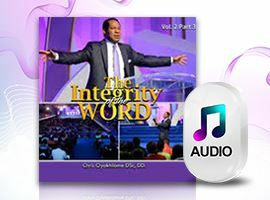 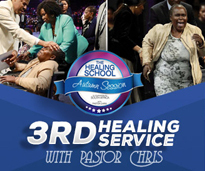 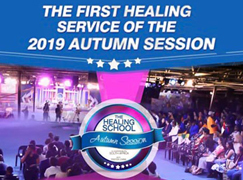 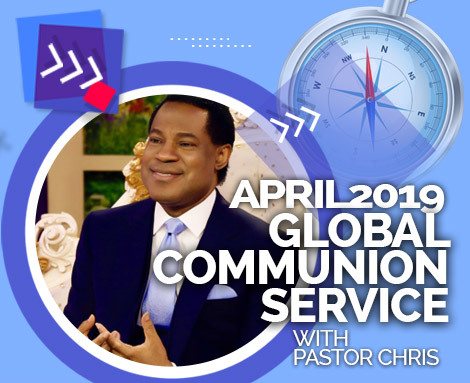 It was the best opportunity to receive God’s Word for the month through the Global Communion Service convened by the Believers LoveWorld President- Reverend (Dr.) Chris Oyakhilome. 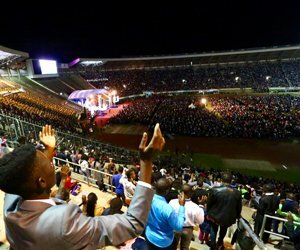 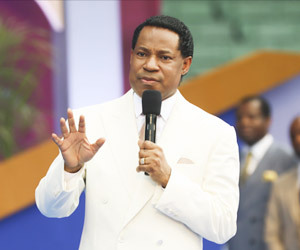 The July Global Communion Service was broadcast LIVE on LoveWorld satellite networks, terrestrial television and radio stations and via online channels all across the globe, granting millions around the world access to the ministry of the man of God, which has helped many live the victorious life of Christ on earth. 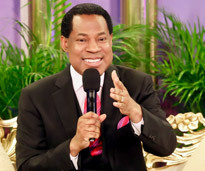 The July Global Communion Service was broadcast LIVE on LoveWorld satellite networks, terrestrial television and radio stations and via online channels all across the globe, granting millions around the world access to the ministry of the man of God, which has helped many live the victorious life of Christ on earth. 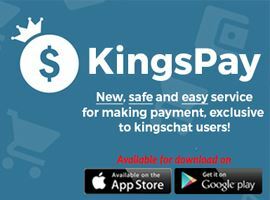 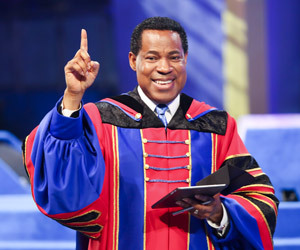 Join Pastor Chris’ Global Prayer Network on Kingschat; invite others too! 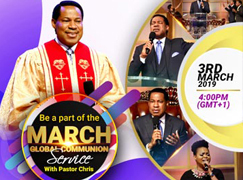 The Global Communion service is a highly anticipated monthly event in Believers’ LoveWorld nation, holding every first Sunday of the month. 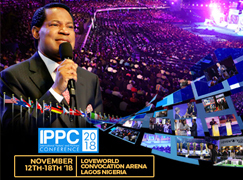 This meeting ushers the word of God for the month, delivered by the man of God to guide, direct and control the affairs and circumstances of believers in the body of Christ who receive the divine words. 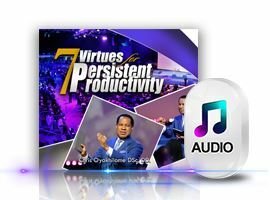 The July edition of the program was filled with songs and prayers of worship and thanksgiving for a glorious half year and praises for the second half of the year. 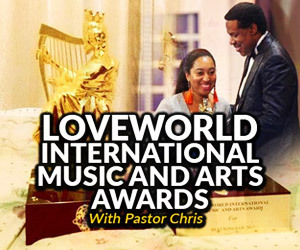 The moments preceding the declaration of God’s word for the month featured the inspiring highlights of the International Cell Leaders’ Conference and a riveting and captivating Movie Concert ‘KAIROS’, produced by the LoveWorld Music and Arts Ministry and the LoveWorld Innovations, both of the Believers LoveWorld ministry. 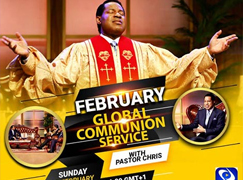 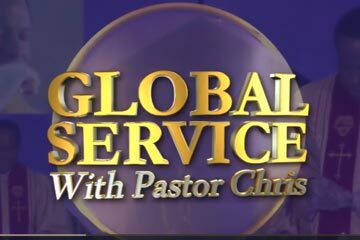 Pastor Chris, with a panel of discussants, answered questions from followers around the world in a Question and Answer segment during the live transmission of the Global Communion Service. 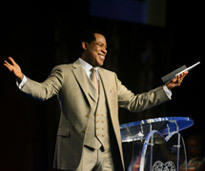 Questions bordering on real life’s issues were answered from the word of God. 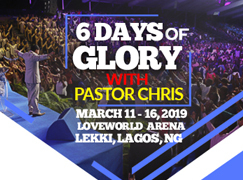 The esteemed Pastor Mary Owase, Zonal Pastor of the Mid-West Zone, and the esteemed Pastor Chike Ume, Zonal Director of BLW Zone C present on the Communion Service set with Pastor Chris as winners of the 10 in 1 challenge this month. 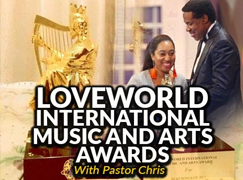 During the July 2018 Global Communion Service with the BLW President, Reverend (Dr.) Chris Oyakhilome, the man of God announced the first winners of the Pastor Chris Live '10-in-1 Challenge' as BLW Zone C in the Campus Ministry category and the Mid-West Zone in the Church category. 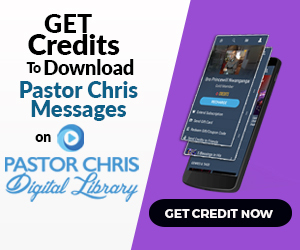 The challenge encourages each BLW citizen to get at least 10 people to join Pastor Chris’ global prayer network by following the man of God on KingsChat. 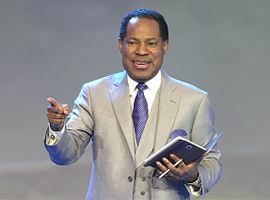 The esteemed Pastor Mary Owase, Zonal Pastor of the Mid-West Zone, and the esteemed Pastor Chike Ume, Zonal Director of BLW Zone C, were present on the Communion Service set with Pastor Chris as winners of the challenge which continues in the subsequent months. 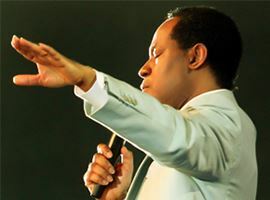 “You’re going to experience the miraculous power of God in a special way!” — Pastor Chris concerning July 2018. 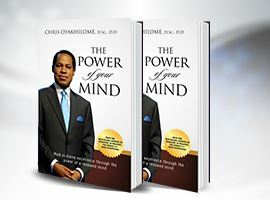 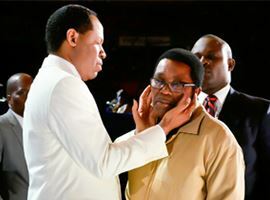 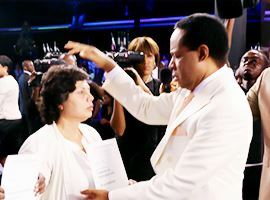 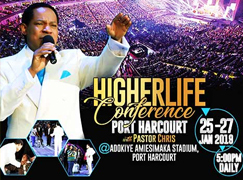 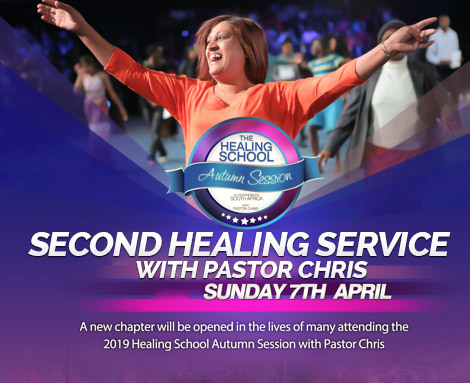 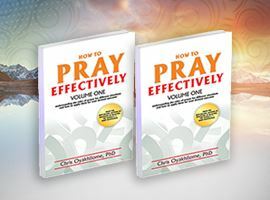 Pastor Chris specifically instructed the brethren to pray only in tongues in the first seven days of the month of July: “we’re going to pray in tongues every day, these first seven days,” he said. 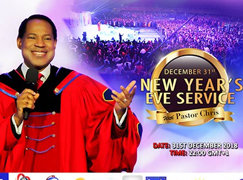 What a glorious way to kick off the second half of the Year of the Supernatural!